After lunch, you will have chance to visit Jade Carving Factory to learn about Chinese jade culture. Transfer back to Beijing city. Visit the Summer Palace, the Summer Palace is known as the Gardens of Nurtured Harmony, it has been included in World Heritage List in December 1998. 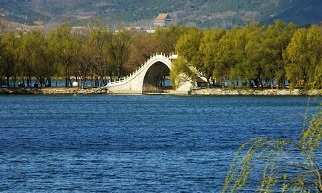 It stated that the Summer Palace "a masterpiece of China landscape garden layout. Natural landscape of hills and open water is along with man-made features like pavilions, halls, palaces, temples and bridges to create a harmonious ensemble of remarkable aesthetic value." No Force Shopping! No Hidden Charges! 3. For fast or urgent bookings, you are welcomed to call (24 hours) to book the trip over the phone.